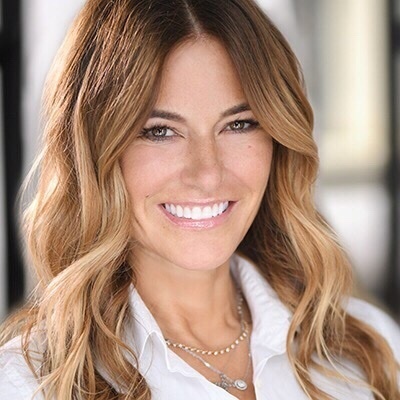 Kelly Killoren Bensimon is an international tastemaker and style icon. Her diverse and impressive career includes success as a top model, equestrian, author, magazine editor, designer, and health advocate. Bensimon’s deep connection to fashion began at an early age when she took the modeling industry by storm and quickly emerged as one of the industries brightest stars. Bensimon’s career evolved and she became the Editor of Elle Accessories. Bensimon continued her career as an Editor-At-Large for both Hamptons and Gotham Magazine, and guest Editor for Avenue Magazine. A five-time published author, Bensimon’s anthologies include The Bikini Book, American Style, and In the Spirit of the Hamptons. Her self-help book I Can Make You Hot won accolades for innovative content, style, and creativity. If that weren’t enough, Bensimon built an impressive fan base as the star of the pop-culture phenomenon The Real Housewives of New York City. The show continues to air internationally and has become a worldwide sensation. Additionally, Bensimon has appeared in various films and television shows. Her interior aesthetic has appeared on HGTV, E!, Access Hollywood, and in magazines such as INSTYLE, INSTYLE GERMANY, ELLE magazine, and HAMPTONS magazine to name a few. She also created Curated Living for the boutique development, M at BEEKMAN. Bensimon is the mother of two daughters, Sea and Teddy. Bensimon and her philanthropic daughters are focused on several life-changing causes. One of their missions is to help solve the global water crisis by building clean water wells in Haiti with the nonprofit Generosity Water. They also feed the hungry, volunteering regularly at Food Bank for New York. Bensimon is an avid supporter of the arts and donates proceeds from the sale of her book to the Costume Institute at the Metropolitan Museum of Art.